Hot Melt Extrusion (HME) is a process originally developed for the plastic industry that has been adapted for use to prepare several types of dosage forms and drug delivery systems for pharmaceuticals. A key element of this process is to inject carbon dioxide (CO2) directly into the extrusion barrel. 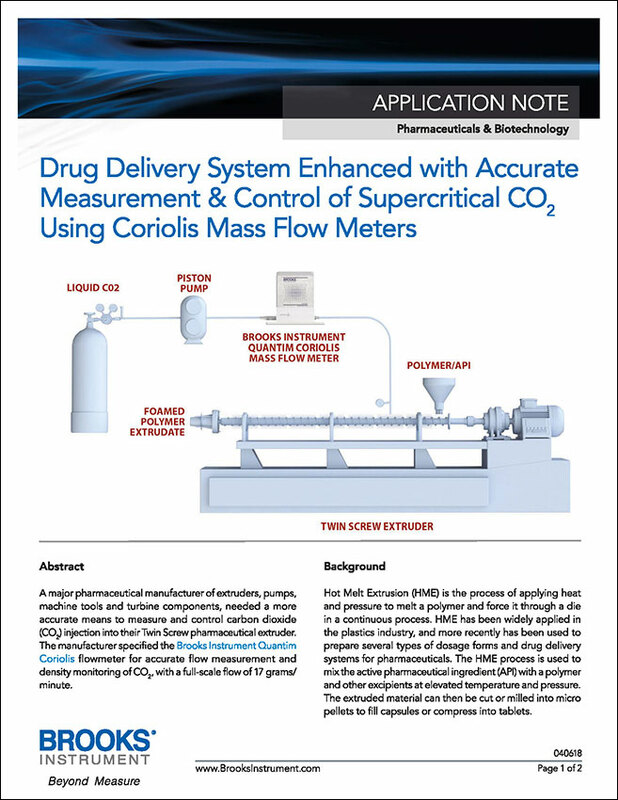 This Application Note describes how a major manufacturer of extruders, pumps, machine tools and turbine components for pharmaceutical applications needed a more accurate means to measure and control CO2 injection into their Twin Screw pharmaceutical extruder. Their solution: The Quantim® Coriolis flow meter, for accurate flow measurement and density monitoring.